Do you feel the weather getting cooler? Do you see the leaves changing colors? 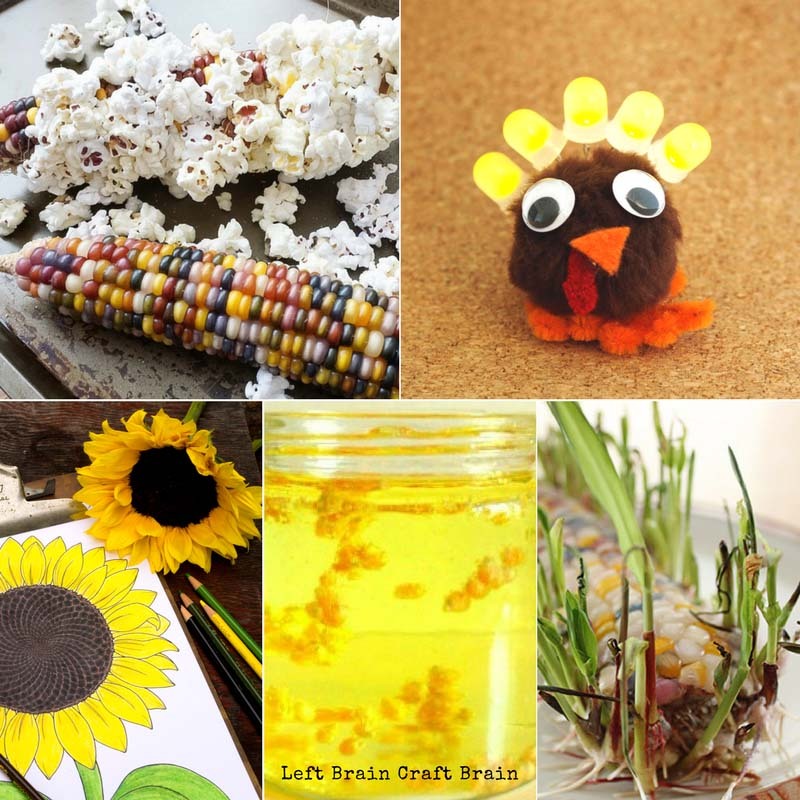 It’s all fall science happening around you! 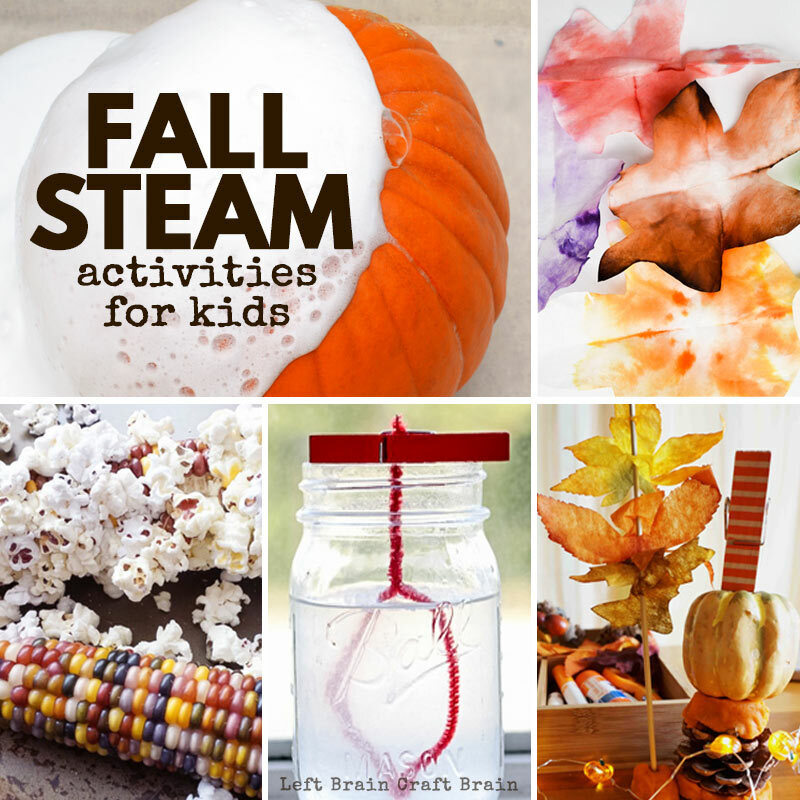 This set of Fall STEAM activities are perfect for your creators. They are going to dive into the depths of a pumpkin, study why leaves change colors, and create beautiful creations with all things STEAM! Here are some fun and hands-on project in classic fall themes! Why Do Apples Turn Brown? This is a classic experiment for fall. Apples are EVERYWHERE! Grab a couple extra and test why apples turn brown with several items you already have in your kitchen. This is simple science for even your youngest STEAM kid! Apple Volcano with Erupting Apple Science Activity Making fruit erupt is the best thing about fall! Your apples can become a volcano in your own backyard. You’ll need baking soda, vinegar, and a little space to watch your apple erupt. Add this to your after school list of things to do! 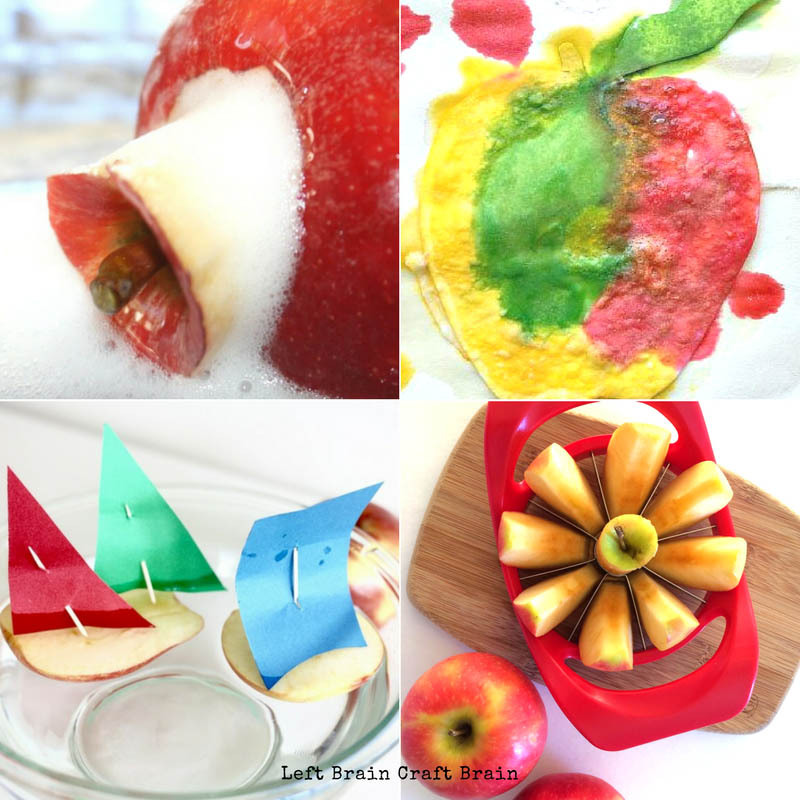 Apple Boats STEM Challenge Study buoyancy with your bushel of apples this fall. Making apple boats are a great way to help your STEAM kids create their own floating boats and talk about what makes items buoyant in water. Fall Tinker Tray Setting up an invitation to create it one of the easiest STEAM activities you can do this fall. All you need is a repurposed tray, some of your favorite pumpkin scented play dough, and any materials you have on hand to build something beautiful! Leaf Rubbings This is a beautiful way to decorate your home this fall! Not only can you create beautiful art, but you can also learn the parts of a leaf in a simple and hands-on way. Salt Crystal Leaves Make your own leaf themed crystals for your fall decor. These leaves are simple to make and a great experiment for testing whether real leaves or pipe cleaner leaves work best for making leaf crystals. Autumn Leaves STEAM Absorption Art Activity I love adding art to our science lessons. This art creations is centered around exploring the changing of leaves in fall time. 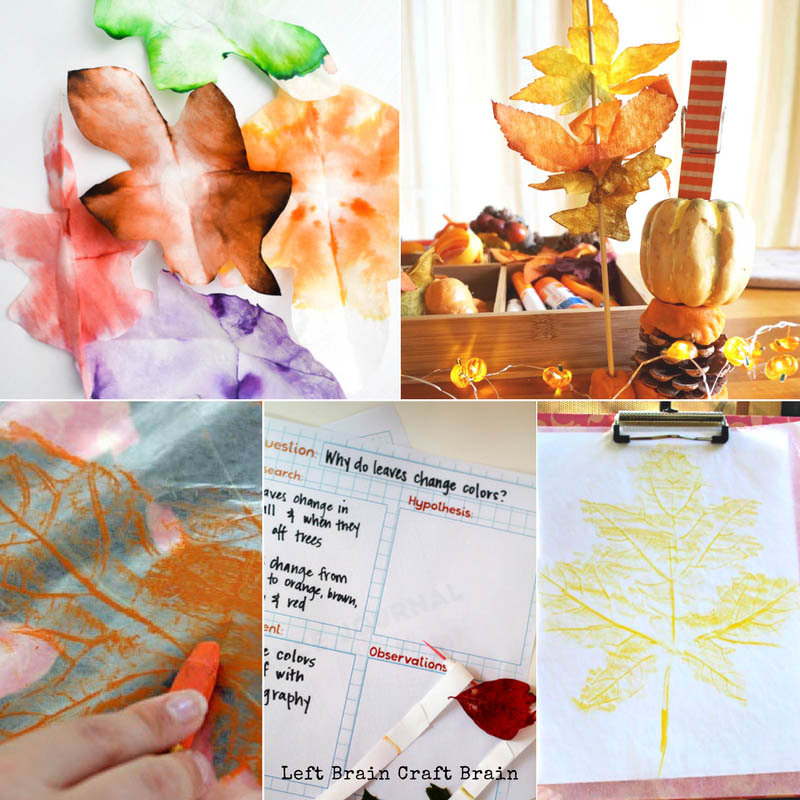 Create an absorption experiment which turned your DIY leaves into beautiful artwork. Why Do Leaves Change Colors? This is the classic science question many kids ask. Help them understand how it works with this fun chromatography experiment. Pumpkin Pie Play Dough There’s something about the smell of pumpkin pie baking in the oven, right? Add a little of that sensory nostalgia to the kids’ next creating session with this pumpkin pie playdough. Did you know that play dough makes an awesome building tool? Use it between blocks, to hold toothpicks, even pool noodle slices, to make building fun. Pumpkin Science – Rotting Pumpkins Every year it seems like pumpkins are out on the neighbors steps earlier and earlier. This year create your own experiment to see how long it takes for your beloved jack ‘o lantern to rot. This rotting science STEAM activity is great to help kids learn learn the scientific method and see the changes happening before their eyes. Squishy Circuit Pumpkins I’m completly in love with squishy circuits. They are a great learning tool for your STEAM kids and a great addition to your Halloween decor. All you will need are a couple extra pool noodles and a squishy circuit! It’s that easy. 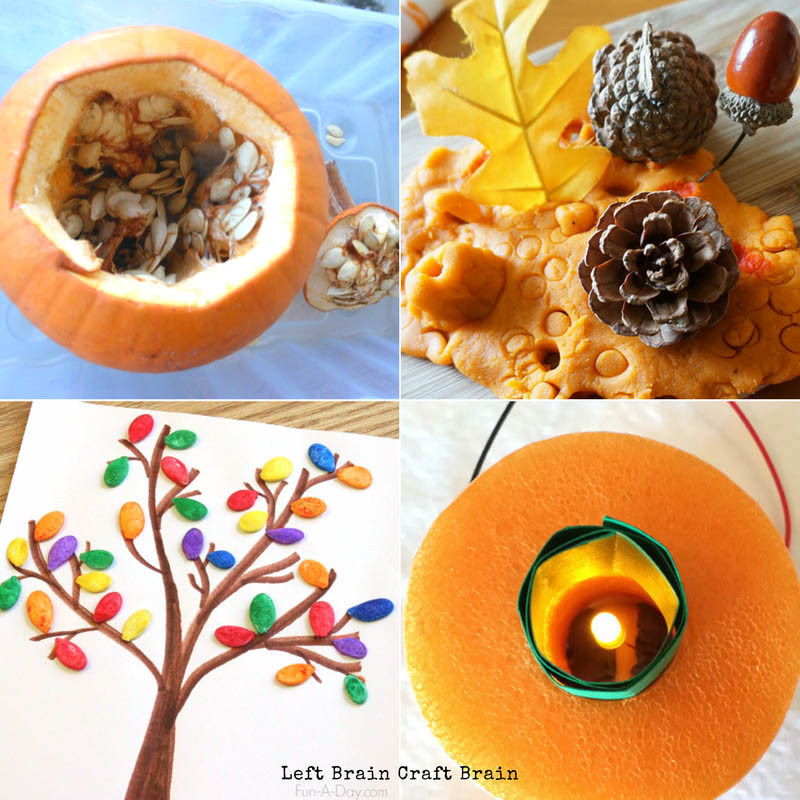 Fall Art using Colored Pumpkin Seeds Add a little extra color to your fall tree creations. Dye your own pumpkin seeds then use them in your next art project. Geoboard Pumpkin So simple and easy! Add push pins or small nails to your extra pumpkin to create a DIY geoboard for your child to explore. Making geoboards like this is a great way to hone in on fine motor skills while introducing angles in a fun way! Pumpkin Volcano Science Activity After you are done with your apple volcano, give a pumpkin volcano a try. You will use the same materials, but this time you’ll have a bigger eruption so be sure you have plenty of space to watch the science happen! 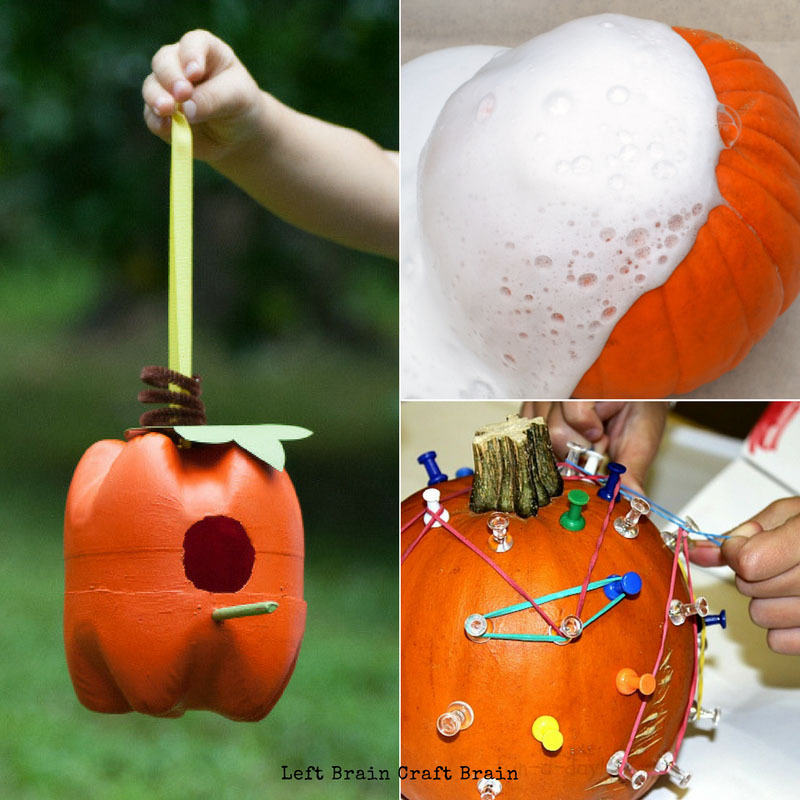 Pumpkin Bird Feeders Engineer your own pumpkin themed bird feeder out of recycled materials. This is a great project for the kids of all creator level. I love how easy it is to adapt this to fit the kind of materials you have a home or the ability level of your child. Turkey Circuits This adorable craft brings the power of circuits to the tail of a really fun turkey. Pop Indian Corn Did you know that you can pop corn right on the cob? Click over for the how-to’s on this fun snack-time science. Sprouting Indian Corn I love this experiment for your kids that LOVE food! Amaze your kids as they watch their own corn sprout and grow before their eyes. Hopping Corn Science Activity Turn popping corn into hopping corn with this fun science experiment that’s easy to do with ingredients you have on hand. Sunflower Math (coming soon!) Learn about the Golden Rule in this gorgeous sunflower coloring page. Or maybe it’s time to be thankful and the Science of Thanksgiving Dinner! 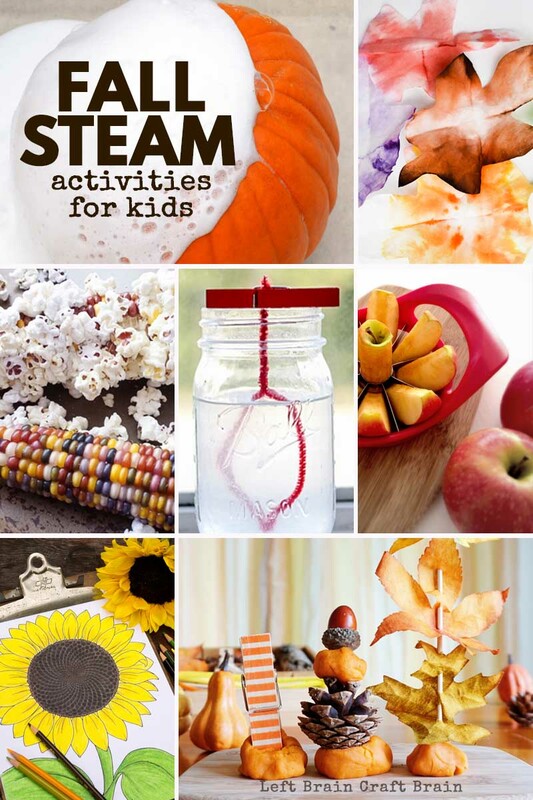 This fall is going to be amazing with all these fall STEAM activities on your creation list! What are your plans for fall STEAM fun? Are you ready for all the great fall holidays? Check out these Halloween STEAM Challenges too!